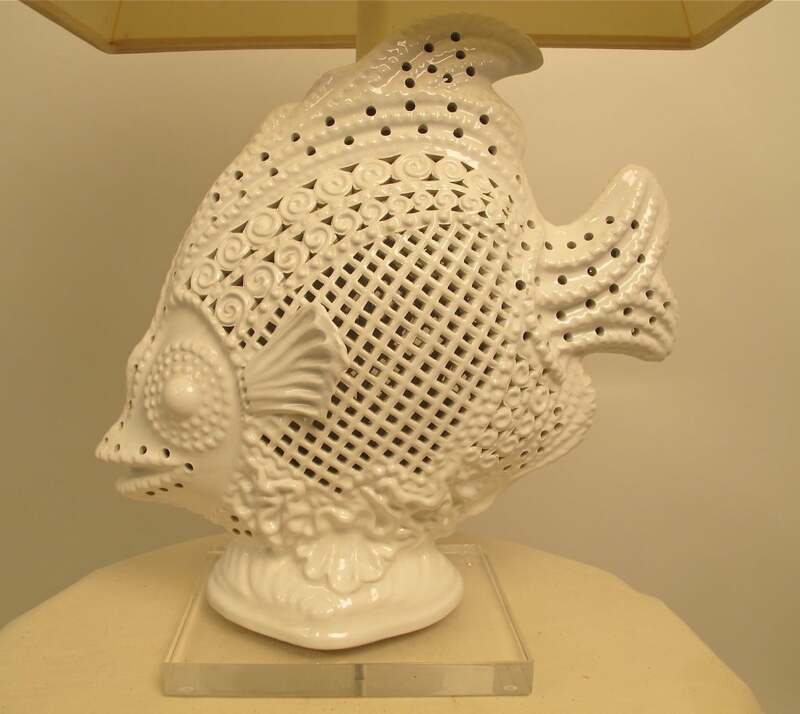 The ceramic fish is in very good vintage condition. 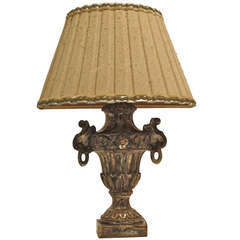 This is the original shade, it is acceptable but not perfect, shows slight discoloring from use and age. 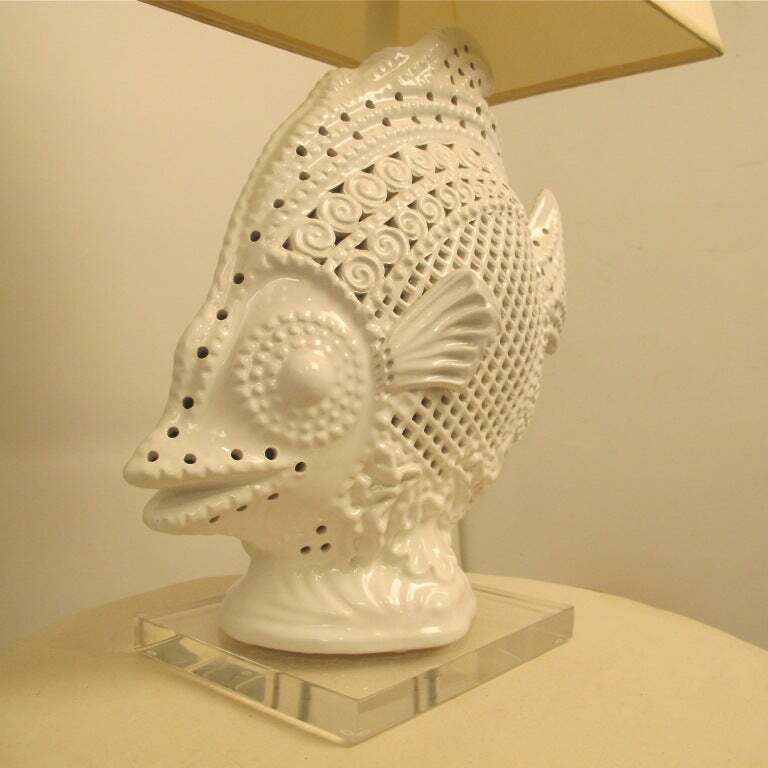 William Whiteley French ceramic owl oil lamp with glass eyes. 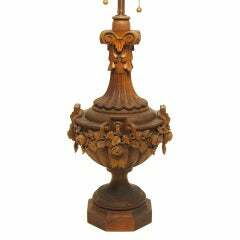 Now electrified, circa 1880. 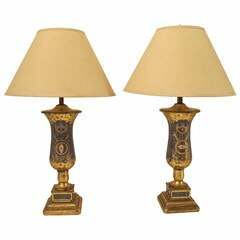 An outstanding pair of églomisé table lamps. 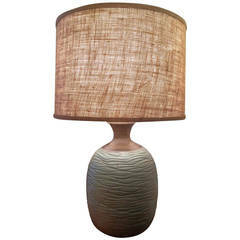 Reverse painted on glass with giltwood bases. 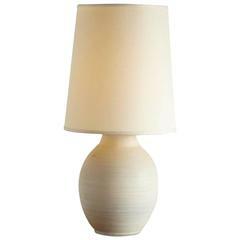 Recently re-wired, holds two standard size bulbs. 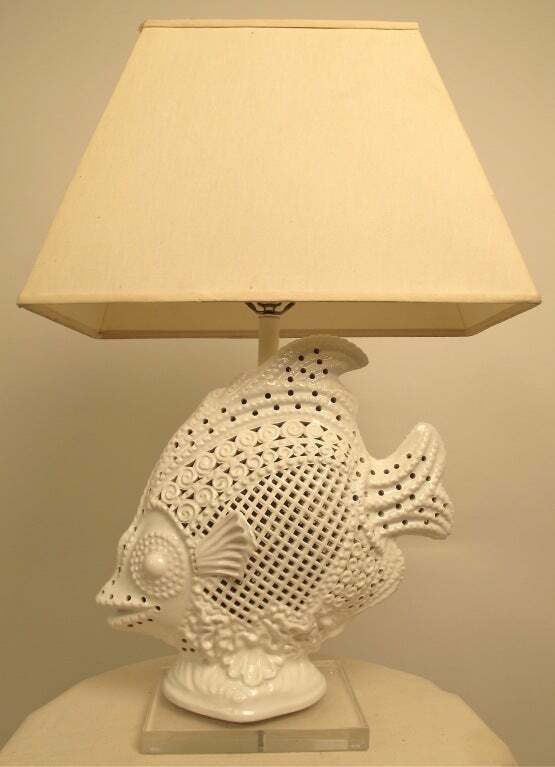 This charming ceramic Italian lamp by Fantoni features two fish, one smaller and one larger. 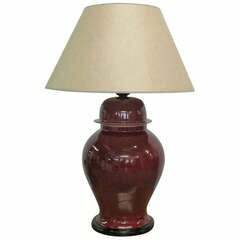 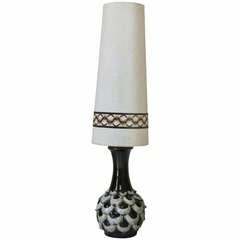 Large Italian ceramic burgundy urn lamp. 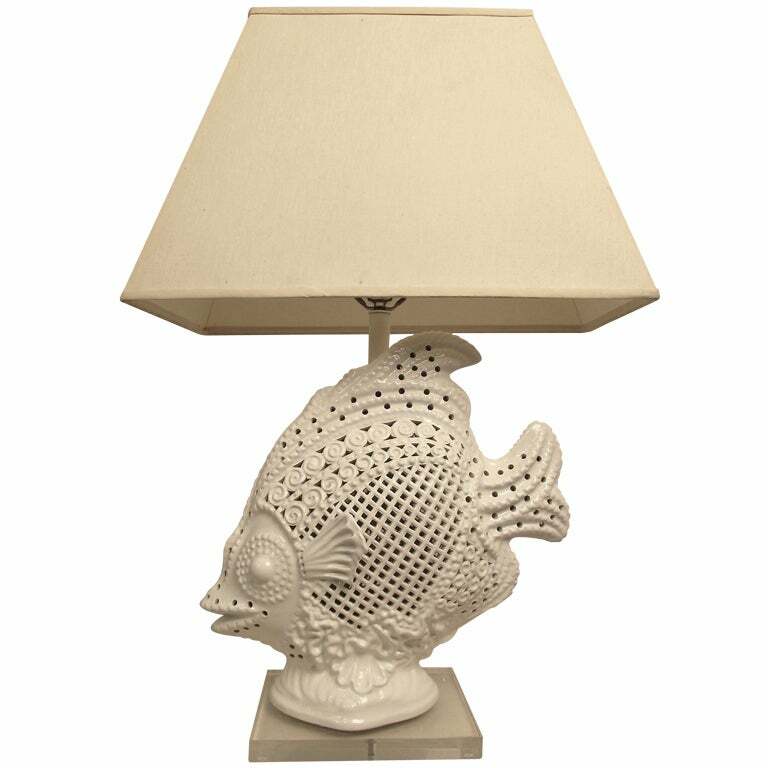 Measures: 36" H and the widest point is 14" W. Shade not included.